Dr. Josef Allen Hynek (1910-1986) has been known as the “Father of ufology”. He was an astronomer, professor and a scientific advisor in ufology for the United States Air Force “Project Blue Book” for twenty years. “Project Blue Book” was responsible for the formal investigation of UFO reports (Murray 688). Similar to Jacques Vallée, he carried out independent UFO research. 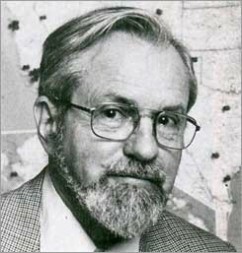 Hynek was chairman of the Department of Astronomy of Northwestern University and director of its Lindheimer Astronomical Research Center and for this reason could be considered a credible investigator. Hynek was particularly interesting as a ufologist as he began his career as a skeptic. He moved from skepticism in 1948 towards acceptance in the 1960s and began to advocate of the place of ufology in the field of science (Tobey 130). This shift in Hynek’s views occurred as he studied hundreds of UFO reports, many of which were made by reputable sources including astronomers and military personnel. This encouraged Hynek to conduct a poll among his own astronomer colleagues. The poll revealed that eleven per cent of his colleagues had witnessed UFO’s. This was more impressive to Hynek than reports from the general public. Hynek was conservative and carefully worded his reports, especially in relation to “Project Blue Book”. However after this project was dissolved, he became more open about his views on UFO’s. In his report UFO’s “Merit Scientific Studies”, Hynek described his role in ufology as reporting to his scientific colleagues and “in doing so, I feel somewhat like a traveler to exotic lands and faraway places, who discharges his obligation to those who stayed at home by telling them of the strange ways of the natives.” (Hynek 329). He continued with dismay to describe the treatment of ufology in among his peers, “UFO was a term that called forth buffoonery and caustic banter; this was both a cause and an effect of the lack of scientific attention.” (Hynek 329). The UFO experience. A Scientific Enquiry has been described as Hynek’s attempt, not only to justify the scientific relevance of UFO’s but also to give his version of what he felt the Condon Report should have been (Murray 688). It has been suggested that by writing this book, Hynek has both questioned the National Academy of Science, who reviewed this report, as well as the Air Force, who sponsored it (Murray 688). This book had an impact on ufology due to Hynek’s means of classification of UFO reports. These classifications included “Daylight Discs, Nocturnal Lights, Radar-Visual, and Close-Encounters of the First, Second, and Third Kinds” (Murray 689). This is the standard of UFO classification to this day. Hynek wrote the foreword of David Michael Jacobs book, The UFO Controversy in America. He discussed ufology as a scientific controversy which further highlighted his belief of the place of ufology in science (Tobey 130). In 1973 Hynek founded the center of UFO studies (CUFOS) and was director until his death in 1986. CUFOS stressed the need for scientific examination of UFO reports. This centre continues today and has become highly regarded in the UFO community. This ensured that his legacy and contribution to ufology continued after his death.